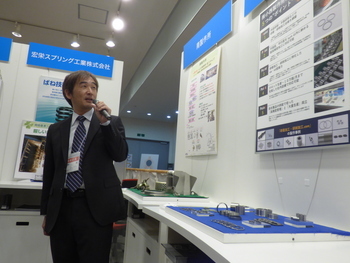 MOBIO is running OWO (On the Wing of Osaka) technology exhibition in the MOBIO Tech Hall as a November special display. 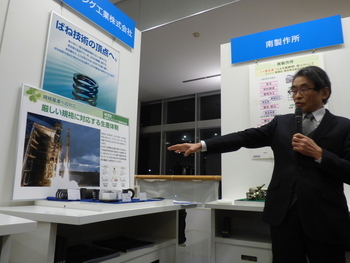 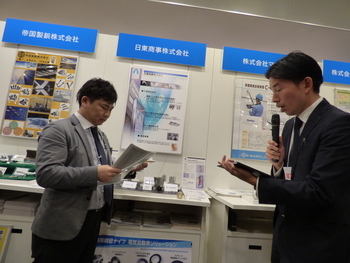 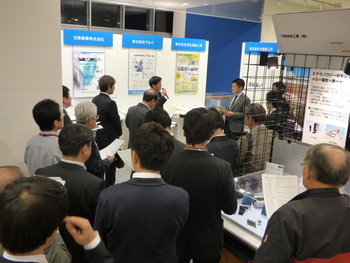 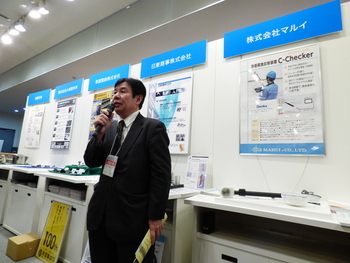 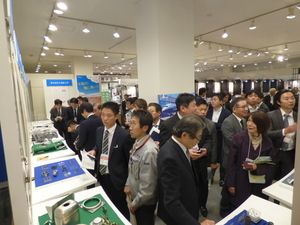 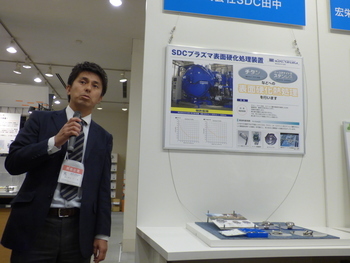 On November 14, seven exhibitors explained their latest development in the MOBIO Cafe Meeting. 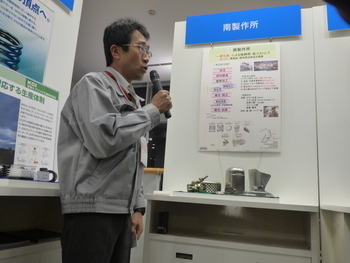 ・Koei Spring Industry Co., Ltd.
Cylindrically coiled spring is used in the safety valve to feed fuel to rocket launching stand. 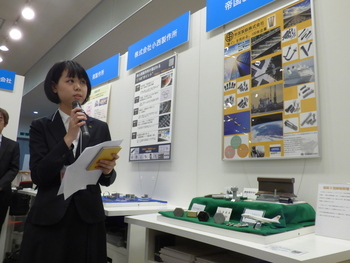 A special sized thrust ball bearing is used in a satellite to open wings in the space. 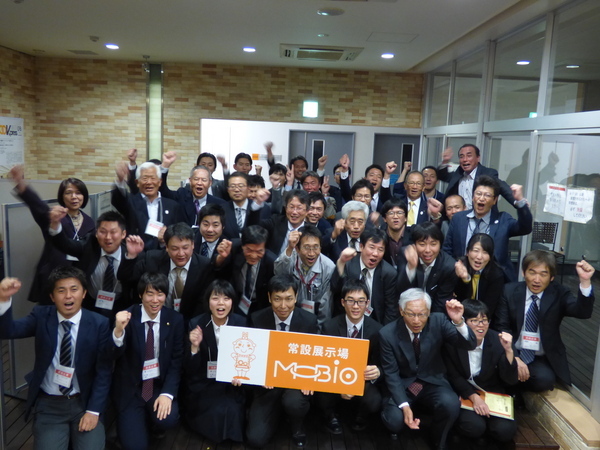 See you in the next MOBIO Cafe Meeting on November 26 and discuss on IT issues!